Mike is a lifelong New Yorker and entrepreneur who grew up on the Upper West Side loving all sports, especially baseball. In 2002, at the age of eighteen, Mike founded Kids of Summer Sports, an instructional recreational sports organization based in Manhattans Riverside Park. Kids of Summer currently trains over 800 children per year in both baseball basketball and flag football through summer camps, school break programs, after school, travel teams and more. In 2014, Mike partnered with Juan Hernandez to found the NY Bluebirds Youth Baseball Organization. The mission was to provide competitive youth baseball players the opportunity to train, learn and play in a professional atmosphere with the best coaching and training platform in New York City. Mikes responsibilities include the administration of the organization, player recruitment, and all parent communication. He loves seeing players improve, gain confidence and succeed both on and off the field and looks forward to the Bluebirds continuing to grow through the support of its wonderful families for many years to come. Mike graduated from the S.I. Newhouse School at Syracuse University in 2005 with a dual major in broadcast journalism and political science while playing for the Syracuse University baseball club. Prior to that, he attended the Bronx High School of Science and played Varsity Baseball for three years where he was named team captain and awarded the school's Iron Man Award three years in a row for never missing a single game or practice. He amassed a career .463 batting average and was selected to the All Bronx and All-Senior Team by the New York Daily News his Senior year where he represented the Bronx/Manhattan All-Star team as the starting first baseman. When not near a baseball field or playing/watching sports, he enjoys the beach, traveling and spending time with his wife Emily. Juan was born in the Dominican Republic. His family immigrated to New York City when he was 2 years old and since has been a proud New Yorker. 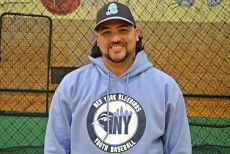 Juan founded the NY Bluebirds baseball team in 2012 with one goal in mind: To develop the best baseball players in NYC! 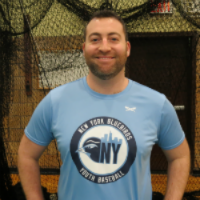 In 2014, he merged with Mike Handell to establish the NY Bluebirds Youth Baseball Organization and to further expand the vision and scope of the NY Bluebirds Baseball program. Juan is a veteran instructor and head coach with over a decade of experience developing high performing teams and players. His training philosophy stems from a unique combination of past experiences as a player, coach, instructor, and from the baseball professionals he frequently consults. As director of operations, Juan is responsible for the training and development of all the players in the organization. He is also responsible for the training and development of the coaching staff. Juan played 4 years of Varsity baseball at DeWitt Clinton High School where he earned All-City recognition junior and senior year. He later trained and played in the Dominican Republic where he had the opportunity to join the Cleveland Indians organization as an infielder. After graduating college, he earned the opportunity to play for the Azules de Mexicali of the Mexican professional baseball League. Juan graduated Ramapo College in 2009 with a B.A. in Economics with international honors. In 2011 he graduated from the University at Albany, SUNY with a M.A. degree in Economics. When he is not at work or working at his charitable foundation, Juan likes to spend time with friends and family. Currently he manages our 14U Bluebirds and 16U Summer Tournament Showcase Team. Maycoll joined the NY Bluebirds staff after moving to the United States from Venezuela with his family. Maycoll is a senior instructor and leader of the Bluebirds pitching instruction staff with 7 years of professional baseball experience. Maycoll began his professional baseball career with the Chicago White Sox as a pitcher where he excelled reaching AA with the organization. Furthermore, he participated in the Venezuelan and Colombian professional winter leagues. He was part of the Caribes Anzoatequi of the Venezuelan Professional Baseball League and the Bulls League in Sincelejo, Colombia. Post professional baseball, he joined the Tampa Bay Rays organization as a scout and has been instructing and developing aspiring professional players in Venezuela through his own baseball academy. Maycoll resides in Edge Water, NJ with his wife Milagros and daughters Nicole and Michelle. 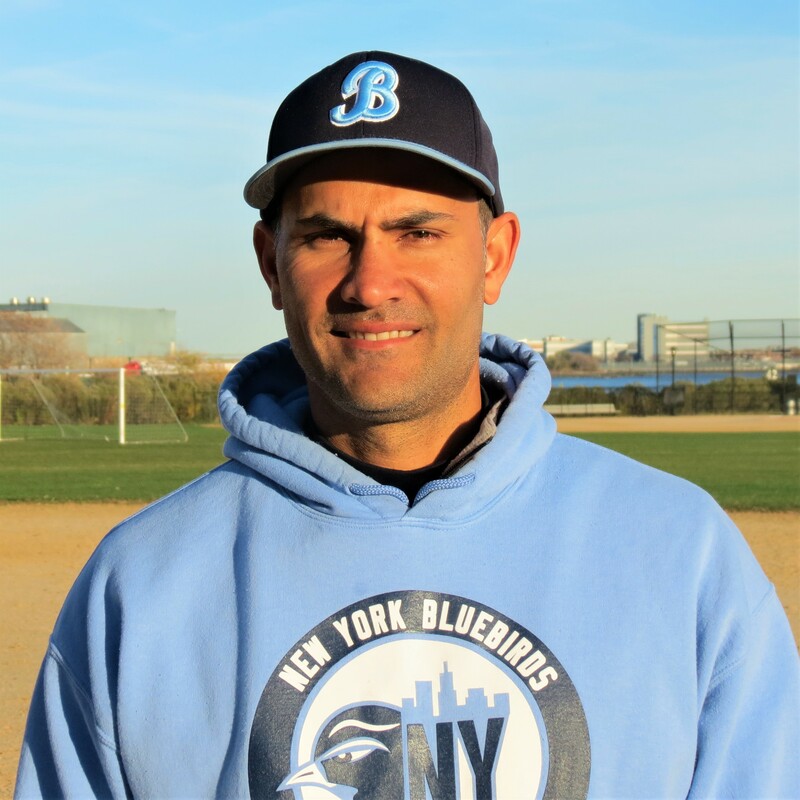 Currently he is the head coach of our 11U Bluebirds Blue Team and has numerous league and tournament titles as head coach. Brian is a native New Yorker born and raised on the Upper West Side of Manhattan. After helping to lead Beacon High School to a city baseball championship and leading the entire PSAL in scoring as captain of the Boys Varsity Soccer team, Brian attended the University of Delaware where he was a member of the Mens Varsity Division I soccer team. After graduating with a B.A. in Sociology from UD in 2009, Brian went on to become the Assistant Director at Kids of Summer Sports working alongside his brother Mike. 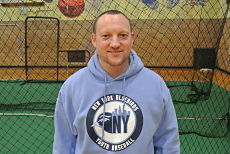 In addition, Brian served as the Assistant Athletic Director and Head Coach at the Computer School, an Upper West Side public middle school. Currently, Brian is pursuing a masters degree in physical education at Queens College, in the hopes of becoming a full-time teacher in the New York City school system. Brian has served as a Head Coach with the Bluebirds for multiple seasons, amassing one of the highest winning percentages of any coach in the organization. His ability to always get the most from his teams has made him beloved by his players and families. 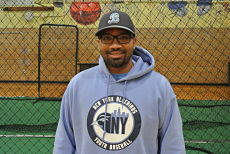 Currently he is the head coach of our 13U Bluebirds. Manny Played professionally with the Arizona Diamondbacks organization at the single A level and in the competitive Dominican summer league from 2001 to 2006 after attending Farmingdale State College for business and sports management while playing Division I baseball. He has been coaching baseball since 2007 and is a gifted instructor who can coach both young and experienced ballplayers. His calm demeanor and extensive knowledge of the game is an asset to any team he coaches. Currently he coaches our 11U Bluebirds and 12U Bluebirds Summer team.